Jacob deGrom (NYM) sits atop our early slate rankings and that’s even accounting for a drop in his strikeout rate early in the season. Granted, we’re not adjusting deGrom all the way down to the current 15.7 K Rate but even adjusting him down to 19 percent (career 25.4 percent, last year 27.3 percent), we’ve got deGrom as a clear cut top option. Vegas opened with the Brewers at a 2.7 implied run total and injuries to their lineup (Ryan Braun, Domingo Santana) along with the potential for Jonathan Lucroy to sit on a day game after a night game leaves a lot of outs to a really poor and largely right-handed opposing lineup. The early season velocity issues coupled with the inability to generate swinging strikes is certainly a concern for deGrom, but if you project ANY sort of regression in his skill set, he’s the top play by a decent margin. If you want to move off of deGrom, Masahiro Tanaka (NYY) is the safest alternative. He’s getting a huge park shift in his favor and faces an Athletics offense that ranks 20th in wRC+ against RHP but also comes with a bottom 10 K Rate against RHP (18.6 K Rate). The Athletics have a higher implied team total (3.6 runs) but Tanaka’s baseline is a bit clearer. Our preference is towards deGrom, but Tanaka’s a fine alternative. Felix Hernandez (SEA) and Drew Smyly (TB) rank ahead of Tanaka in our second tier solely on strikeout rate. Hernandez has a favorable umpire behind home plate and gets the benefit of a park shift against a relatively weak offense, but his skill decline is substantial and we’d prefer any exposure in tournaments. Smyly draws a Tigers’ offense that is very skilled against LHP, making for a difficult matchup so we also prefer exposure to him in tournaments. On DraftKings, you’ll need to find a second starter to pair with deGrom. Tanaka is viable but will really squeeze the cap. There are enough salary relief options to service that play, but you’ll forfeit exposure to the Blue Jays offense that has an implied run total around five runs. Mike Leake (STL) and Adam Morgan (PHI) are viable secondary alternatives that are cheap enough to allow you exposure to the Blue Jays. The upside with Leake isn’t significant due to a low K Rate, but the Diamondbacks get a stark negative park shift and most of their value comes from power which Leake largely negates with his GB Rates. Morgan has some swing and miss upside against a Braves’ offense that ranks 30th in wRC+ and owns the eighth highest K Rate against LHP. Morgan’s velocity took a slight step back last time out and he was shelled by a Reds’ offense that ranks Top 10 in wRC+ against LHP. He handled the Braves effectively in his first meeting (7 IP, 1 ER, 4 H, 1 BB, 4 K) but the floor here is very low. It’s essentially a battle of who is worse: The Braves or Morgan? Michael Fulmer (DET) has shown big strikeout ability (23.7 K Rate, at least six strikeouts in three straight) and gets a Rays’ offense that has struck out the second most frequently against RHP (25.4 percent). Fulmer hasn’t worked deep into games and the Rays’ offense is a bit all-or-nothing so there is risk here, but we really like the upside in tournaments. He’s viable in cash games as a secondary starter, but we feel a similar floor and slightly lower ceiling comes with Adam Morgan at a cheaper price tag. Robbie Ray (ARZ) is another similar high ceiling/low floor option at a slightly cheaper tag than Fulmer on the road against a strong Cardinals’ offense. He’s getting a nice park shift but the strong K Rate earns consideration in tournaments. Sean Manaea (OAK) has struggled mightily with righties in his major league debut but he’s handled lefties well and the Yankees are devoid of plus RHBs to really throw out there. With the benefit of a spacious park, he’s also in play in tournaments. Catcher is a crummy position on this afternoon slate. On FanDuel, we get Victor Martinez (DET) but in a middling matchup against Drew Smyly. On DraftKings, we don’t get the pleasure and we’re ultimately just looking for as much salary relief as we can get at the position while affording hitting. Tyler Flowers (ATL), Yadier Molina (STL), Stephen Vogt (OAK), and Cameron Rupp (PHI) could all qualify as options. The one bat that could truly emerge as a great option is Chris Iannetta (SEA) if he lands a strong lineup spot (fifth, even sixth) but he may not catch a day game after a night game and the lineup spot is questionable. He’s also priced up on DraftKings where even a great lineup spot would only make him an OK play. This is a position we’ll largely tackle in alerts. First base is a loaded position on this slate with our Top Five first basemen all ranking inside our Top 10 overall hitters. The Blue Jays take precedence on the slate if you can afford them (if you go cheap at SP) as Edwin Encarnacion (TOR) is our third ranked overall hitter behind teammates Josh Donaldson and Jose Bautista. They’re unavailable on FanDuel’s afternoon slate but quite easy to fit on the “early only slate” if you’re playing it. If you’re not spending for Edwin, the best alternatives are Carlos Santana (CLE), Miguel Cabrera (DET), Jose Abreu (CHW) and Joey Votto (CIN). Votto’s ranking is taking into account a reduced baseline for Felix Hernandez which accompanied with a strong park shoots him up our rankings. Miguel Cabrera (DET) faces the best pitcher of the group but Smyly has been vulnerable to RH power (.180 ISO allowed since 2014). Jose Abreu (CHW) gets the platoon against Danny Duffy who doesn’t allow a lot of hard contact (28.8 percent vs. RHBs) but has been vulnerable overall to RHBs (.337 wOBA career) and Duffy likely won’t work deep into the game. Carlos Santana‘s (CLE) recent production coupled with a stark park upgrade and a favorable matchup against Joe Kelly (.329 wOBA, 32.1 hard hit rate allowed to LHBs in career) makes him a fine alternative. Brian Dozier (MIN) is your top value at second base by a relatively wide margin on this slate. He ranks ahead of Jason Kipnis (CLE) in our model and is more affordable. With the leadoff spot against a LHP, Dozier’s success (.349 wOBA, .211 ISO since 2014) makes him a nice value. If you’re not paying for Dozier on DraftKings, you’re likely looking for salary relief in the form of the PHI-ATL game where Cesar Hernandez (PHI) and Gordon Beckham (ATL) are relatively cheap. On FanDuel, the afternoon slate doesn’t include MIN-TOR, so we’re looking at Jason Kipnis (CLE) as the primary value target. He’s priced a little up but gets a nice park shift and the position lacks depth. Kipnis owns an impressive .360 wOBA and .148 ISO since 2014 against RHP and the Indians have a healthy 4.6 implied run total. Neil Walker (NYM) is the most acceptable dropdown on FanDuel where his $2,700 price tag is too cheap for his fifth slot in the lineup. Walker has been just as successful against RHP (.352 wOBA, .198 ISO) as Kipnis but plays in a tougher environment for runs. As long as Ketel Marte (SEA) is in the leadoff spot again, he’ll represent our primary target at shortstop. Marte is a switch hitter who has been more effective against LHP (.325 wOBA, .149 ISO) and the Reds bullpen is making Great American Ballpark play like Coors Field every day. Ketel is our second ranked Marte on the slate but a Top 30 overall hitter and he’s relatively affordable on both sites. If Aledmys Diaz (STL) gets a strong lineup spot, he’s a fine alternative where priced more affordably. They rank right next to one another. If you’re not getting one of those two into your lineups, the goal is to get in and out as cheaply as possible. Josh Donaldson (TOR) is the top overall hitter on this slate. His price tag on FanDuel is discounted ($3,700) and is easy to fit on the “early only” slate. On DraftKings, your decision on Jays will go hand-in-hand with your second SP decision. If you’re going cheap, Donaldson is a great fit. If you’re paying up, you’ll likely look for value where Evan Longoria (TB) or Maikel Franco (PHI) are more traditional options. Gordon Beckham (ATL) and Eduardo Nunez (MIN) are the multiple position options that are worse overall plays but cheaper. On the FanDuel afternoon slate, Longoria is really expensive, so you’re looking at Jose Ramirez (CLE) or David Wright (NYM) as salary relief alternatives. Once again a Blue Jay is atop our outfield rankings as Jose Bautista (TOR) is our top outfielder and our second overall hitter. Bautista, like the other Jays, is difficult to afford on DraftKings if spending up at second SP but relatively easy to afford on both sites otherwise. Kevin Pillar (TOR) also cracks our Top 15 overall hitters and a Top Five outfielder, assuming he leads off. With the Blue Jays going to Bautista in the leadoff spot of late, that’s less assured. Other potential value plays include Steven Souza (TB) who was promoted into the leadoff spot on Friday and would represent a solid value against Fulmer but most importantly a poor Tigers’ bullpen behind him in a game we don’t expect Fulmer to work deep. Michael Conforto‘s (NYM) price tag is comical on DraftKings and he’s a core play against a below average RHP. We also are comfortable with the price tag on FanDuel. Franklin Gutierrez (SEA) would represent one of the strongest values if he’s inside the Top Five spots, ideally second. Gutierrez carries a lot of pinch hit risk but John Lamb has allowed a .3487 wOBA and .178 ISO to RHBs since 2014 and last time out his velocity was down. Gutierrez owns an immense .389 wOBA and .254 ISO against LHP during that span. He’s min-priced on FanDuel and just $3,100 on DraftKings. The Cardinals outfielders are also viable value alternatives facing a LHP as all are relatively cheap and come with the platoon advantage. Billy Hamilton‘s (CIN) speed upside always rates well at current price points but we’re less confident in his ability to get on against Felix Hernandez. He’s more of a secondary play. Miguel Sano (MIN) and Curtis Granderson (NYM) are also acceptable price point plays on the respective sites. The Blue Jays are very clearly the top stack on this slate. They’re facing a LH reliever who isn’t expected to work deep into the game and is backed up by a putrid bullpen. 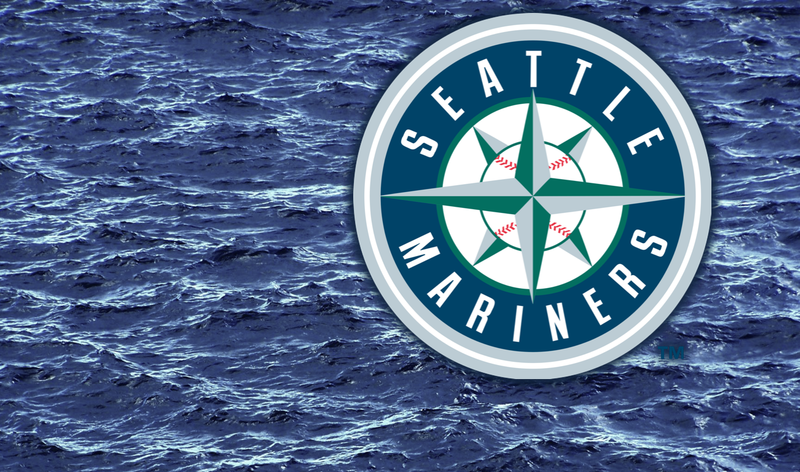 After the Blue Jays, the Mariners are the next best option. We typically prefer them against RHP but the park shift is huge and the Reds’ bullpen is so amazingly bad. The left on left matchups for guys like Cano and Seager will probably spur lower ownership, making them strong targets. Gutierrez is a bit risky with the pinch hit risk, but worth it at current price points. Philadelphia Phillies – They’re cheap, allow you to fit in elite SP, and they’re at home against a below average RHP backed up by a bad bullpen. Odubel Herrera and Ryan Howard are competent against RHP and you can fill in with cheap positional scarcity guys like Cesar Hernandez and whoever catches.